A really different & awesome baby shower cake. 2 tiered, bottom tier in batman theme & top tier spiderman. 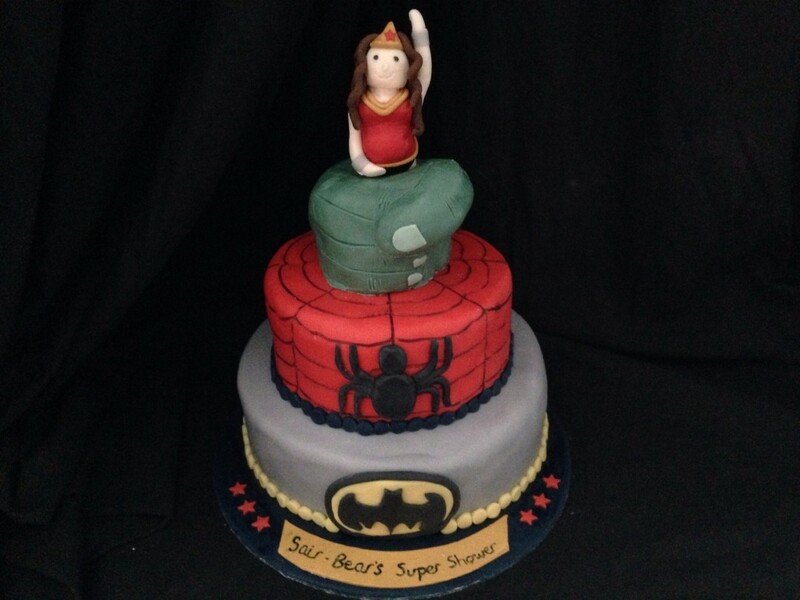 On top of the cake there is an hulk fist holding onto a pregnant wonder woman.